This pink neoprene cup cozy measures 4 inches tall and has a 3 inches diameter. It fits a standard-sized soft drink can. 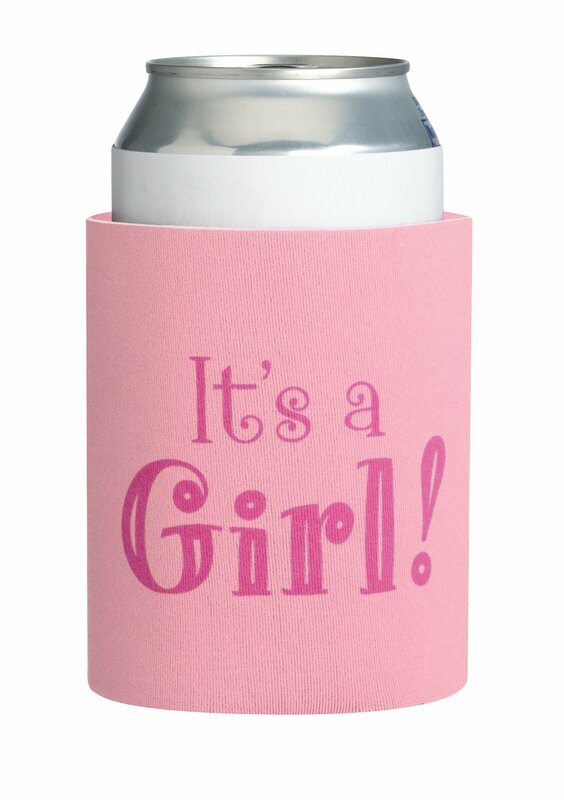 The words "It's a Girl" are silk-screened onto one side.